Click here to join our mailing list to find out about our new wines and promotions we have going on. For the first time in the history of Vinitaly, on the occasion of its fiftieth edition, the President of the Republic Sergio Mattarella inaugurated the Fair. During the opening ceremony, the President of the Republic presented the Angelo Betti "Benefactors of Italian Winemaking" Prize to twenty winners, one for each region. 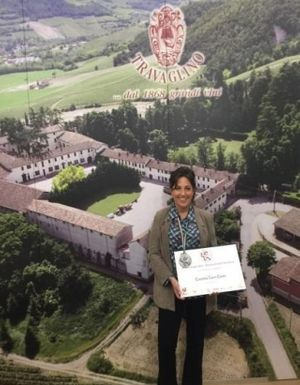 Cristina Cerri Comi of the Travaglino Estate in Calvignano was selected as the only entrepreneur in the Lombardy Region, who, through their business and professional activities, has helped and supported qualitative progress in wine-growing and wine production in their own region and Country. This year, the Lombardy Pavilion at Vinitaly was attended by over 200 companies. Its name, along with those of the other professionals and entrepreneurs who received awards, enriches a Vinitaly Roll of Honour composed of personalities who have greatly contributed to the growth of the wine production system and Italian wine, such that it has become a model for international benchmarking. 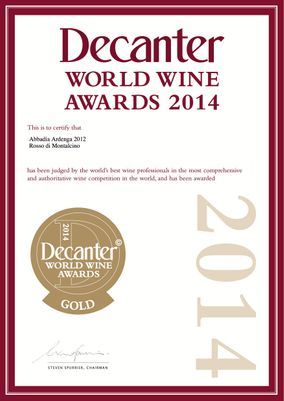 The Angelo Betti "Benefactors of Italian Winemaking" Prize, like the Premio Cangrande, has been awarded since late 1973 to the great interpreters of the Italian oenology world on a regional basis, following rankings by the regional agriculture Departments. The Moscone Brother's wine maker, Dr. Donato Lanati, was nominated in 2014 for Wine Maker of the Year by Wine Enthusiasts. He is one of the top five wine makers in the wine and beverage world. Click here to read more about his nomination. In May 2014, Eduardo Ferre, general manager and co-owner of Luigi's Cucina Italiana, 3030 Audley, in Houston chose our Abbadia Ardenga Brunello Di Montalcino Vigna Piaggia 2007 as his wine of choice. Click here to read the full article about Luigi's Cucina Italiana and our wines.